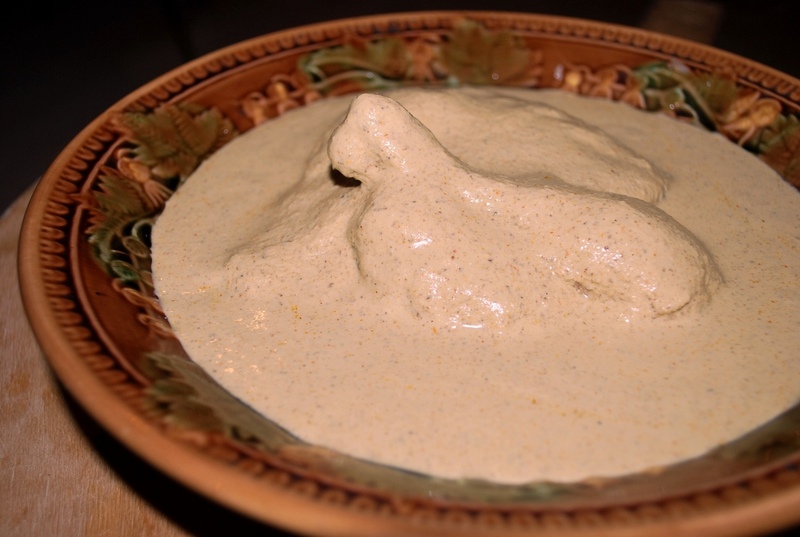 Satsivi (Georgian: საცივი) is a thick paste made from walnuts and served cold (‘Tsivi’ means ‘cold’ in Georgian). 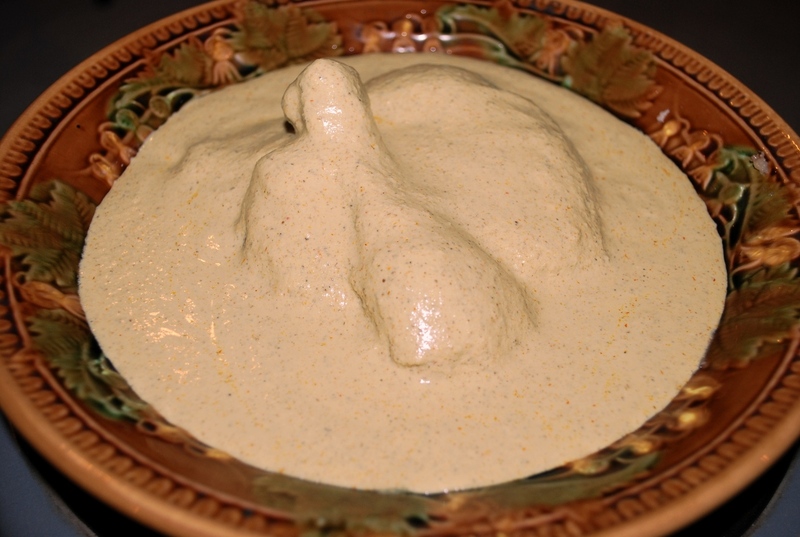 It is used in a variety of meat (usually chicken and turkey), fish and vegetable dishes. 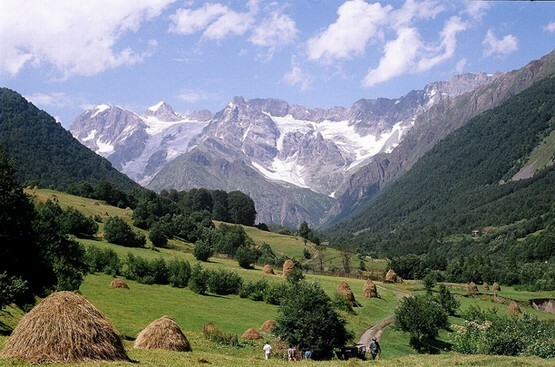 Traditional Satsivi, eaten at Christmas and New Year, is made with turkey. At other times of the year it is usually made with chicken. 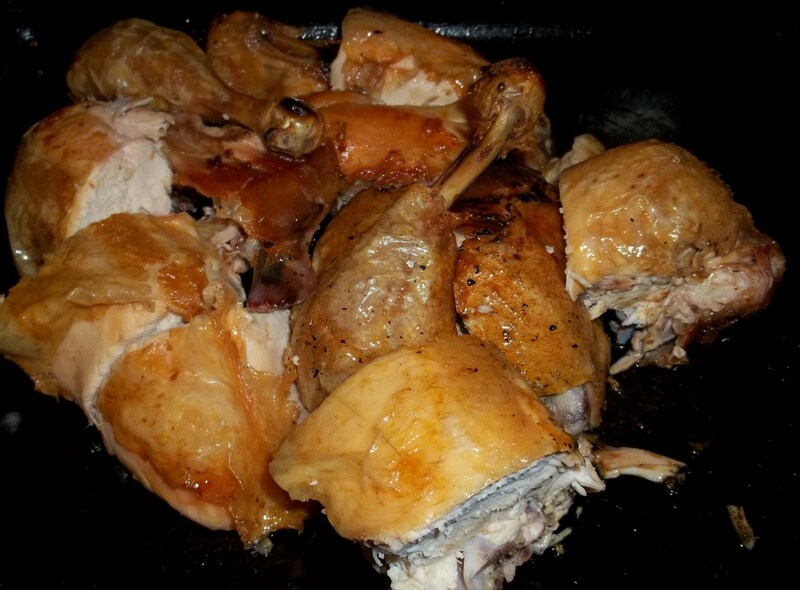 In this recipe we show how to make Satsivi with chicken. Ingredients: 1.5 kilo whole chicken (or turkey), 700 grams of walnuts, 5 medium sized onions, 4 cloves of garlic, 2 tbs of white wine vinegar, 1 tsp of dried coriander, 1 tsp of blue fenugreek, 1 heaped tsp of dried marigold, 1 heaped tsp of dried red pepper, half tsp of cinnamon, 5 crushed cloves and, salt (amount dependent upon personal preference). 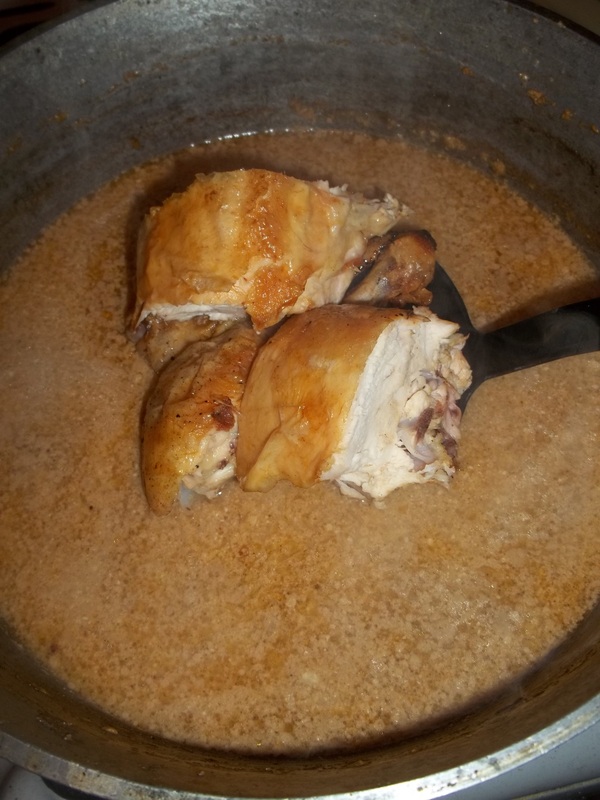 Preparation: Add 2 liters of water to a deep pot and add the chicken. Heat on a medium heat until parboiled. 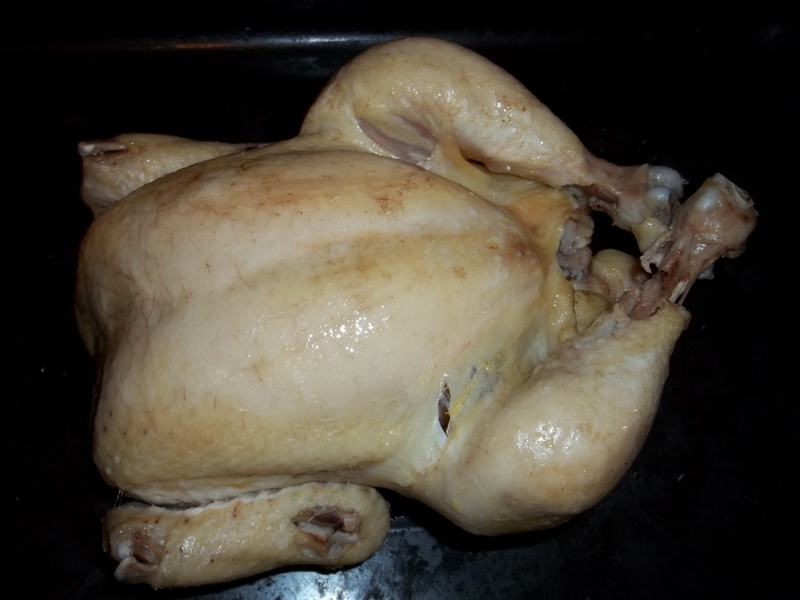 Remove the chicken from the pot and add to a roasting tray. Do not discard the water that the chicken was boiled in as this will be needed later. 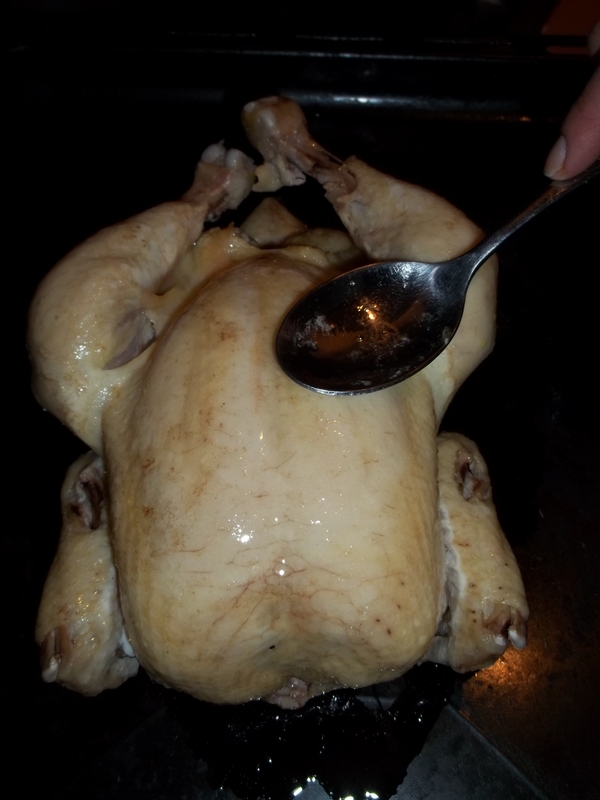 Use some of the surface oil in the pot to baste the chicken. There should be no need for additional oil. 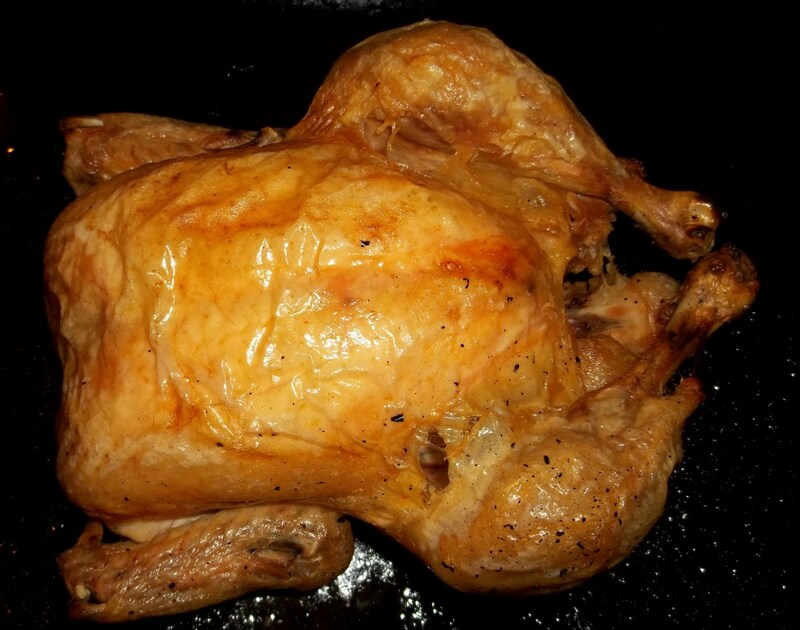 Roast the chicken on 180 C heat until cooked. 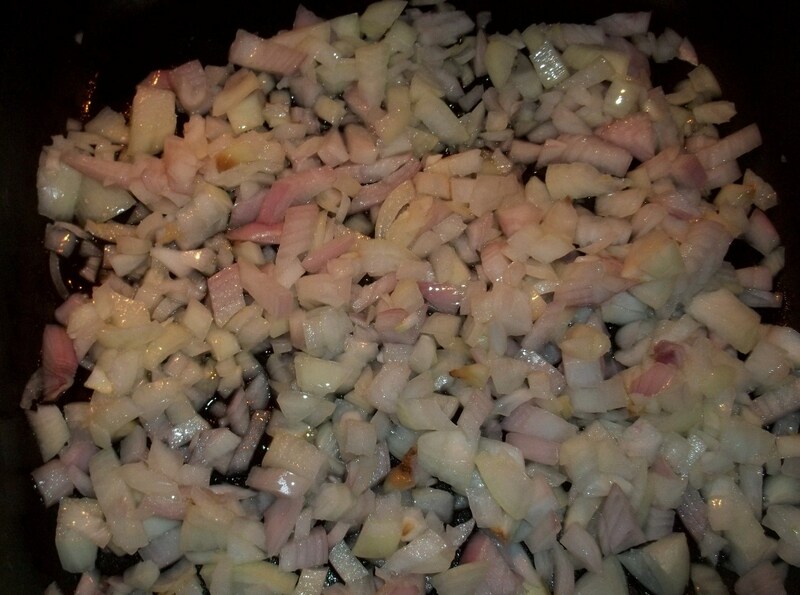 Finely chop the onions and add to a pan with a little of the surface oil from the pot use to parboil the chicken. Fry for 6-7 minutes. 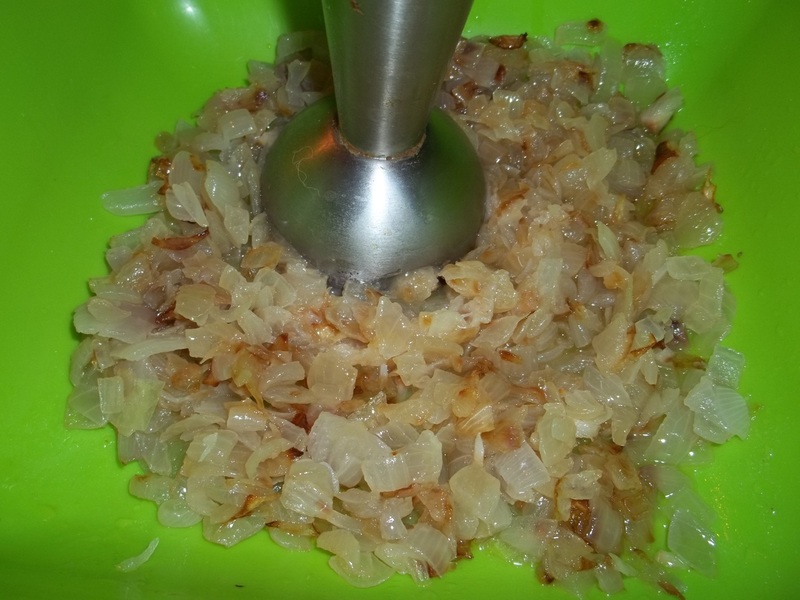 Add the fried onions to a mixing bowl and use a blender to make them smooth. Add the onions to the pot used to par boil the chicken. 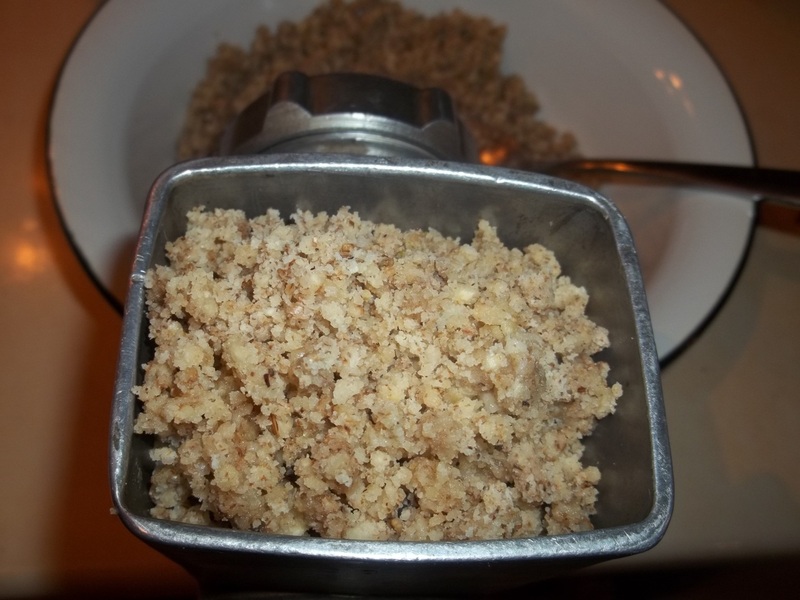 Grind the walnuts. We used a meat grinder. 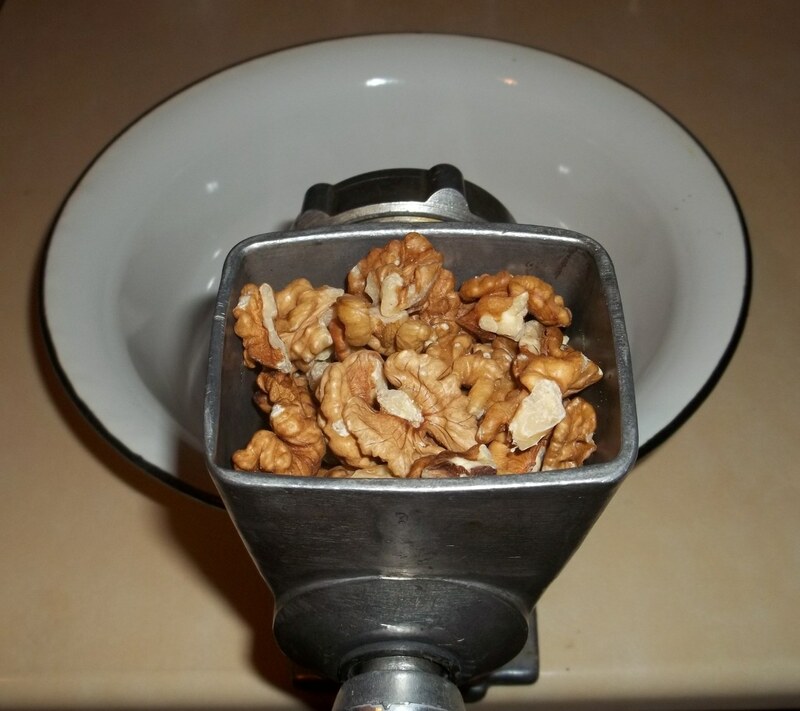 If the walnuts are not old, the grinding process will produce some walnut oil. Save this. Add 1 tsp of dried coriander, 1 tsp of blue fenugreek, 1 heaped tsp of dried marigold, half tsp of cinnamon, 5 crushed cloves. 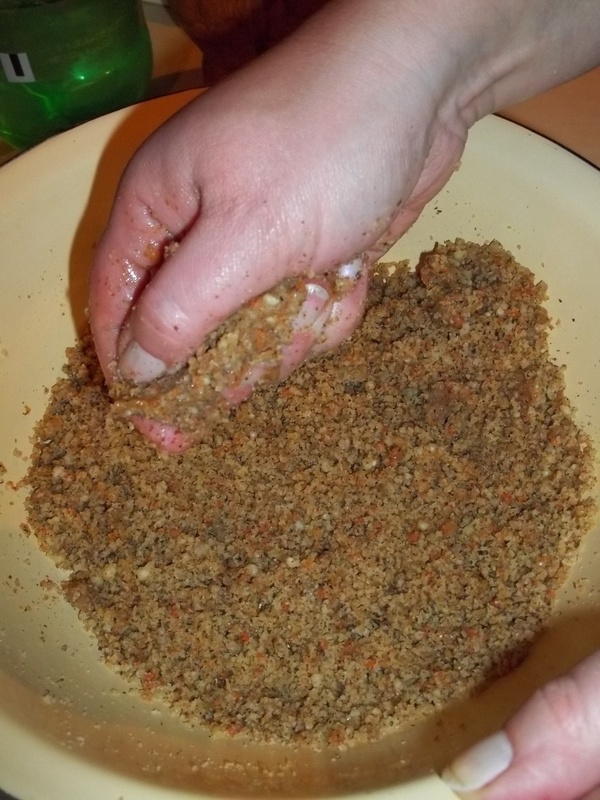 Mix by hand and use your hands to crush the mixture to extract any remaining oil from the walnuts. Save the oil. 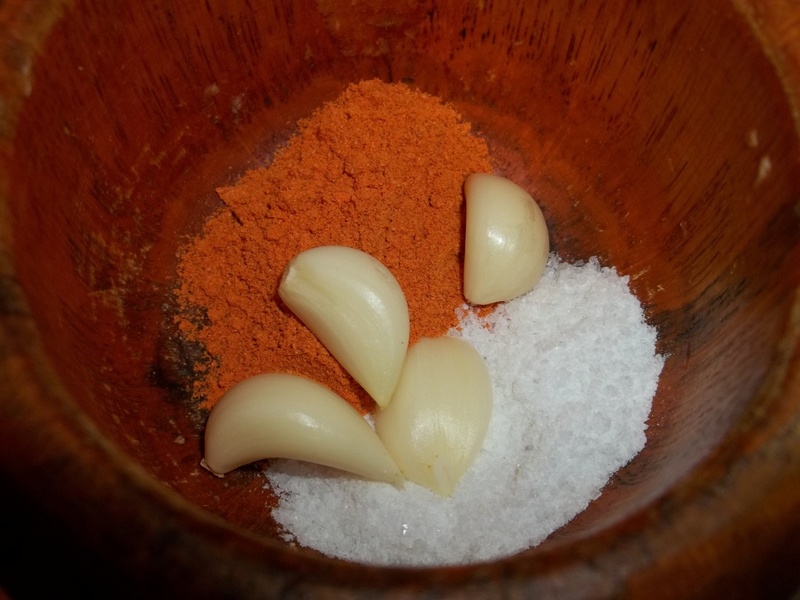 Add 1 heaped tsp of dried red pepper, 4 cloves of garlic and salt (amount dependent upon personal preference) to a mortar and use a pestle to crush the ingredients. 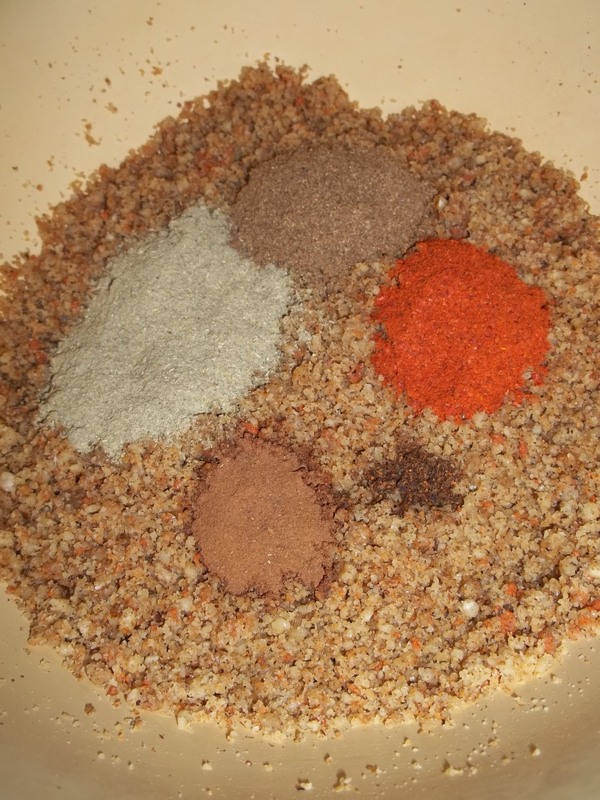 Add the crushed red pepper/garlic/salt mixture, together with 2 tbs of white wine vinegar, to the ground walnuts and mix thoroughly. 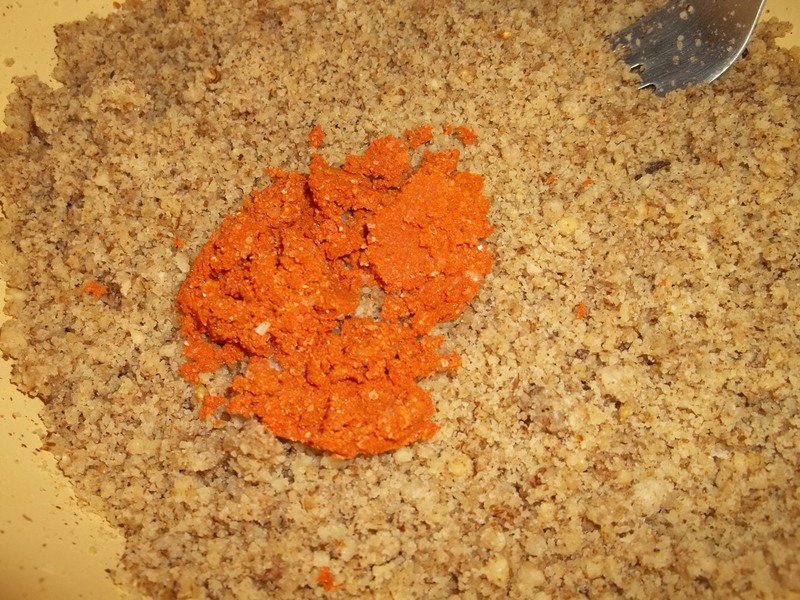 Gradually add water to the nut mixture from the pot used to parboil the chicken, mixing as the water is added. 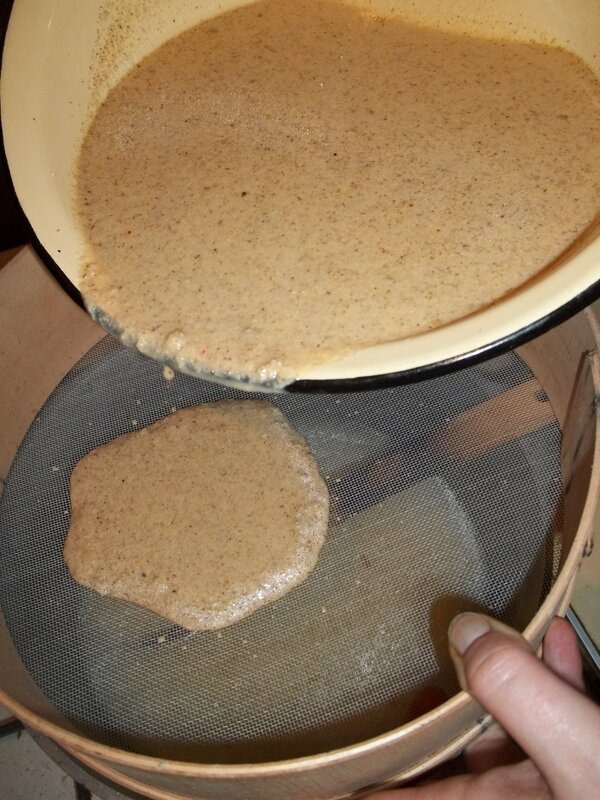 Keep adding and mixing until the mixture has a smooth consistency, like in the picture below. 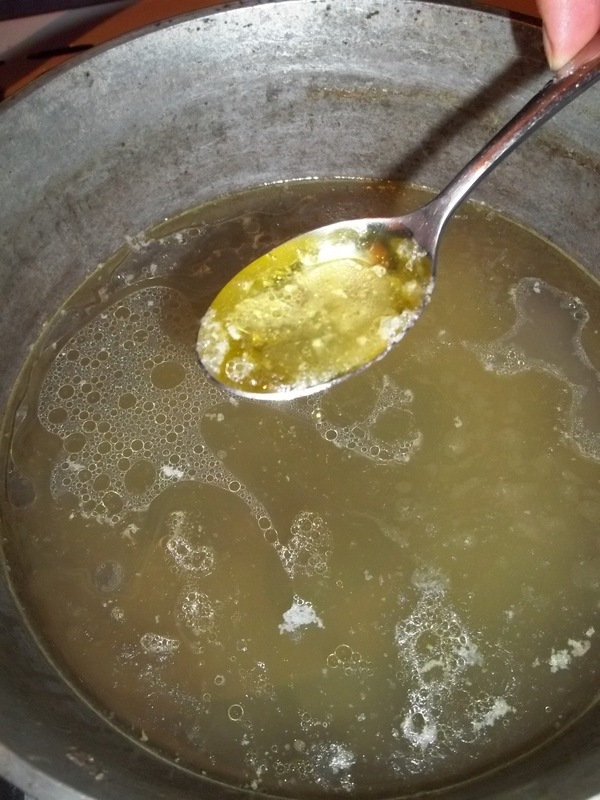 Once mixed, hold a sieve over the pot used to parboil the chicken and pour the mixture into the pot. 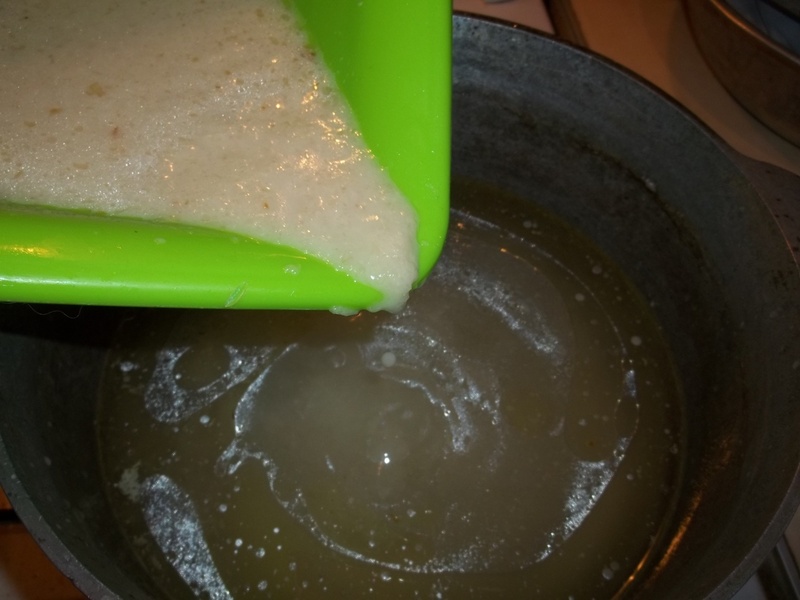 Discard any remaining large pieces left in the sieve. Add the chicken pieces to the pot, bring to the boil and remove from the heat. Allow to completely cool before serving. Serving: Serve cold. Any excess walnut oil that was extracted during preparation can be poured onto the dish. Enjoy your Satsivi with Chicken!